Screw your coworker's apple bobbing contest and time warp over to Hollywood Forever to see the genius Tim Curry and company taunt and tease all over the Cinespia screen. This special Halloween screening is even more interactive than usual: Enjoy a picnic and DJ set on the lawn, before taking a spin around the "Halloween Circus" tent, packed with contortionists, jugglers, magicians and more. Don't forget the photo op: The event's resident photobooth comes with a custom-built Rocky Horror themed set. 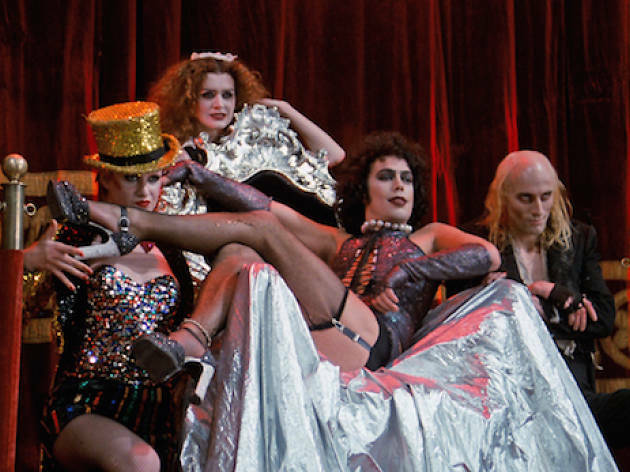 Which reminds us—a costume is required to enter the screening, so don't forget your fishnets.